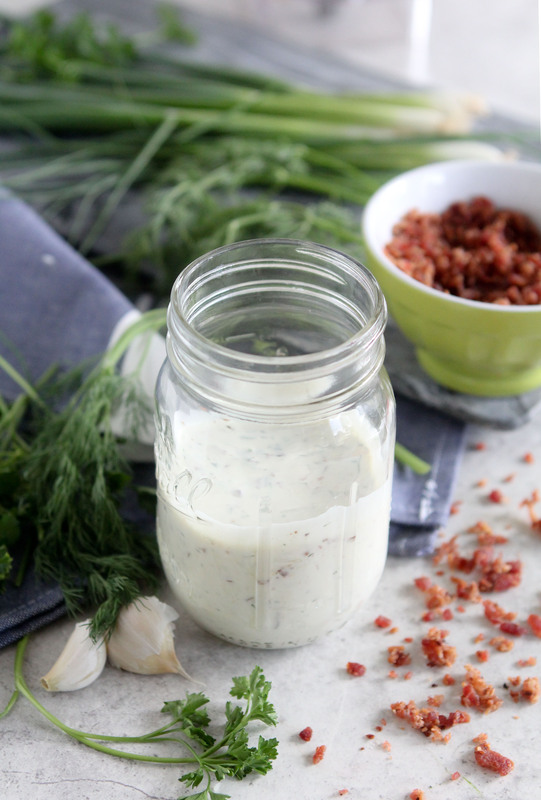 This Bacon Ranch Dressing from The Whole Smiths just may be the answer to all of your Whole30 prayers. 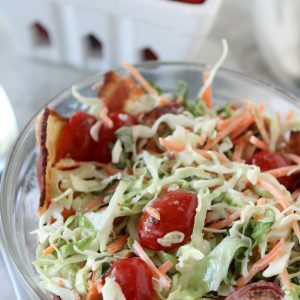 It is so delicious that you’ll want to not only use it on your salads but your chicken, sweet potato fries, veggies and more. Who else is excited about 2017? I know I am! 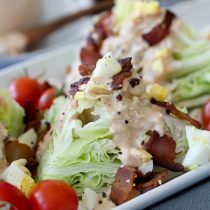 I know a lot of you are starting the Whole30 looking for some new recipe inspo. Well, lucky for you I have you covered. Not only are loads of my recipes Whole30 compliant but I’m planning to add a ton of new ones this month. Like a Chicken Picatta and Braised Chard, San Francisco Garlic Fries, an Apple Cider Vinegar Tonic and Apple Cider Braised Chicken Breats + Collards. In short, you’re in for a treat. I’m kicking this recipe extravaganza off with this Whole30 compliant Bacon Ranch Dressing. 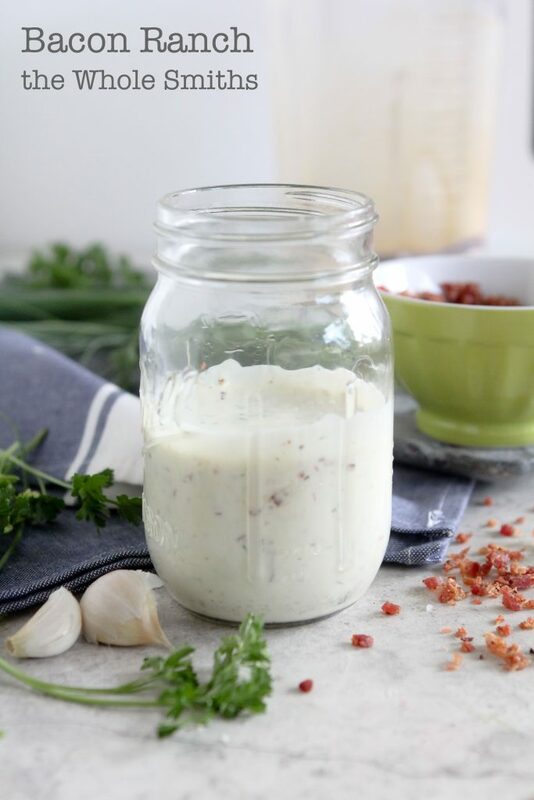 Here’s why I decided to kick things off with this recipe… because you can add it to anything and ranch makes everything better. It’s that simple. And I know everyone loves ranch. And everyone loves bacon. I mean really, does anybody ever get sick of ranch? Or bacon? And this dairy-free version blender version is guilt-free so you can ranch all you want. Just make sure your bacon is sugar-free to be Whole30 compliant. 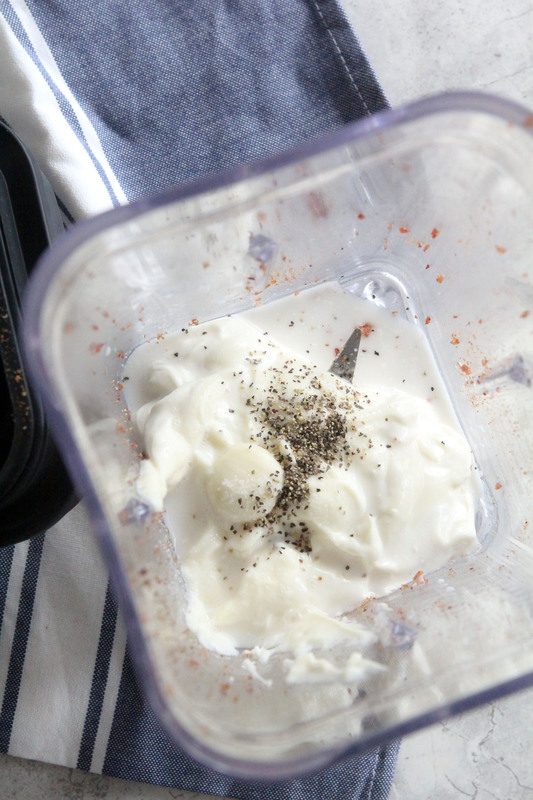 I’m also going to tell you why having a reliable, high powered blender is a must whenever you’re eating clean, whether it’s because you’re doing a Whole30 or not. Having a blender that can make anything from clean nut butters to almond milk to mayo is a necessity. Let’s start there. As you saw in my last post, for Gingerbread Cashew Butter, I was recently given the opportunity to try out KitchenAid’s® Pro Line® Series Blender and have loved it. I’ve tried a variety of high performance blenders in the past and I must say, this is my favorite. You can hop over to my last post to get more of the specs but in this post I want to focus on the details and the value. The very first thing I noticed when pulling my blender out of the box was just how substantial it was. From first contact it feels solid and stable. It doesn’t feel like a plastic blender that is going to last you a year or two. It feels like a blender that my grandmother would have had for years. And I love that! It makes me feel happy. The reason this is important to me is that in the past I’ve had blenders that shake and shimmy while blending anything from frozen bananas to nuts. I makes me crazy and a bit nervous that it’s going to break at any moment. 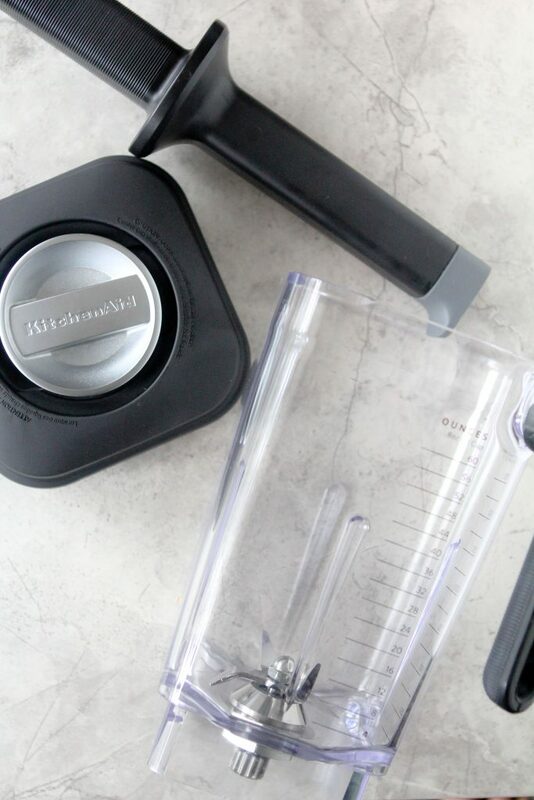 However, the KitchenAid® Pro Line® Series Blender doesn’t budge. It’s a sigh of relief because if you are going to invest in a blender you want to make sure it’s going to last. 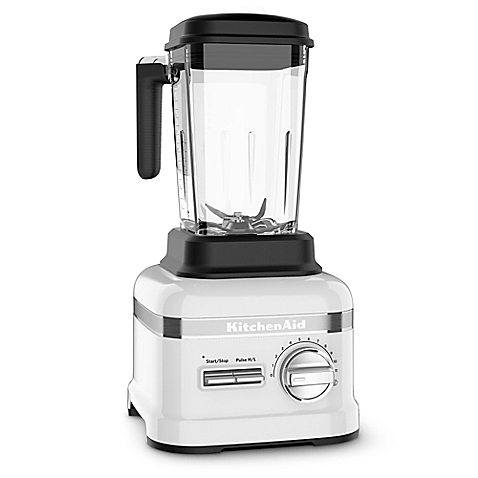 I also love just how easy the dials and functions are of the KitchenAid® Pro Line® Series Blender is. I don’t need a ton of fancy buttons and gizmos that I will rarely use. I need a speed dial and a good blend and that is exactly what this blender gives you. Perviously I had a blender that had a million (ok, not that many) settings to use depending on what you were blending but 99% of the time I just held the pulse button down to get the job done. 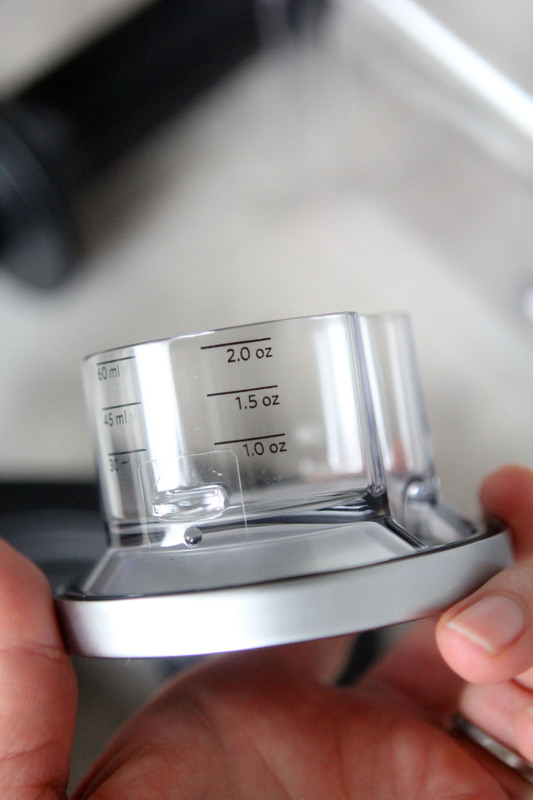 A few other details that didn’t go unnoticed is the measuring cup built into the lid of the blender. It’s such an easy way to add extra ingredients to whatever you’re making without having to constantly take off and on the lid. Just a quick twist and the small measuring cup comes right off and you’re set. And finally! The tamper on this is amazing. I’ve always wished my previous go-to blender had one. So often you need to give whatever you’re blending a swift kick in the pants (i.e. an extra stir) and I can’t tell you what a pain it is to continue to have to remove the lid and replace it. However, with the tamper you just plunge it up and down a bit while the machine is running and call it a day. As far as how I used the KitchenAid® Pro Line® Series Blender for this recipe, I used it three different ways. One, to make the homemade olive oil mayo. Two, to make REAL bacon bits (none of that processed stuff you buy in a jar!) and three to blend the dressing. See why you need a reliable blender when you’re making your own food? You can use it for so many things. I use mine at least daily and here’s some more ways: To blend up my Whole30 Compliant Latte, morning smoothies, soups like my Thai Carrot Soup, chia puddings, desserts like my Paleo Banana Blondies and the list goes on and on. The truth of the matter is that the money you spend on your blender will come back to you in the money you save making your own products quickly and easily at home. Now on to the Whole30 Bacon Ranch. I mean, need I say more? It’s bacon. It’s ranch. It’s bomb. How about I give you some ideas of what to use it with? You can make my Sweet Potato Chips + Dip and use this as the dip, add it atop a tuna stuffed bell pepper for lunch, drizzle it over some pan seared chicken thighs, dip your Delicate Chips into it, drizzle it over a crisp fried egg, the list goes on and on. And for what it’s worth, I made an entire batch of bacon bits for this recipe so we had leftovers to keep in the fridge and have been adding them to our morning eggs and other veggies. You guys, I tell you, this recipe and post is the gift that keeps on giving. The recipe calls for 8 slices of bacon but if you are NOT wanting leftover bacon bits feel free to just blend up 2-3 pieces instead. But your morning eggs will be sad. 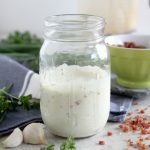 When making ranch dressing I like to chop my herbs and add them in at the end as to prevent my dressing from getting a green tint to it from chopping up the herbs so well. 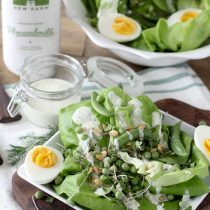 My tip to you is to prepare the dressing base and add in the herbs in at the end. You’ll just need a quick pulse to chop the herbs a tad finer and combine. While you’re reading the directions you may wonder why I add them in at the end and not all at once, and now you know. In short, if you are looking for a solid blender that will last you for years to come I highly recommend the KitchenAid® Pro Line® Series Blender, you won’t go wrong. You can find it at Williams Sonoma or online at any of the links in this post. Add 2 Tbsp. 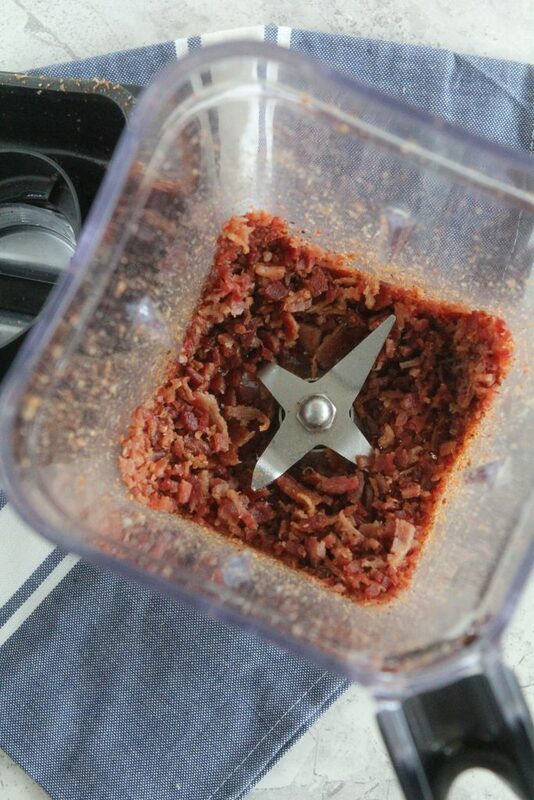 of bacon bits (more if desired) back into your blender and pulse to combine. Hello, I was wondering how long does this last in the fridge? Also what mayo dis you use? Or did you make your own? Thanks in advance.